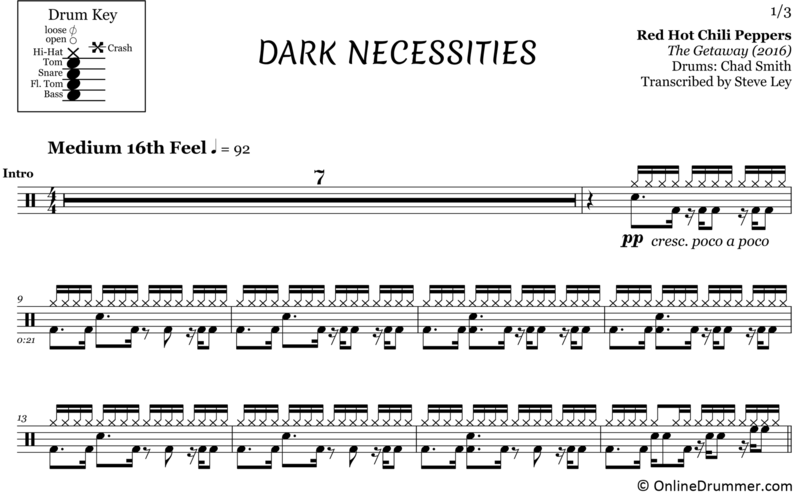 The full drum sheet music for “Dark Necessities” by Red Hot Chili Peppers from the album The Getaway (2016). 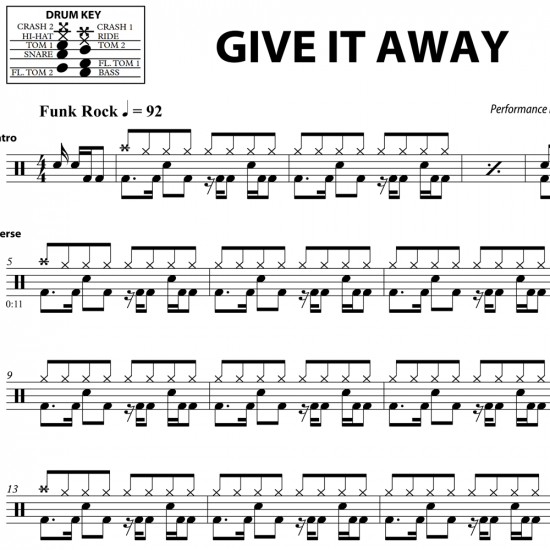 Bringing his classic funk groove with a slightly different flavor, Chad Smith abandons the tried and true 2, 4 back-beat approach throughout most of the song, proving that Smith can rock a funky groove even if you take away one of his back-beats. 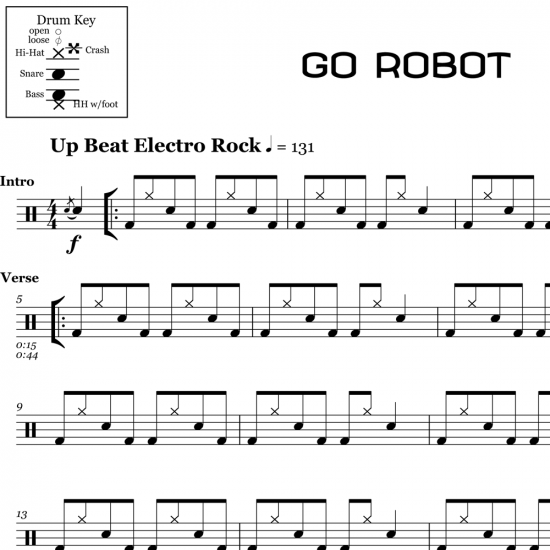 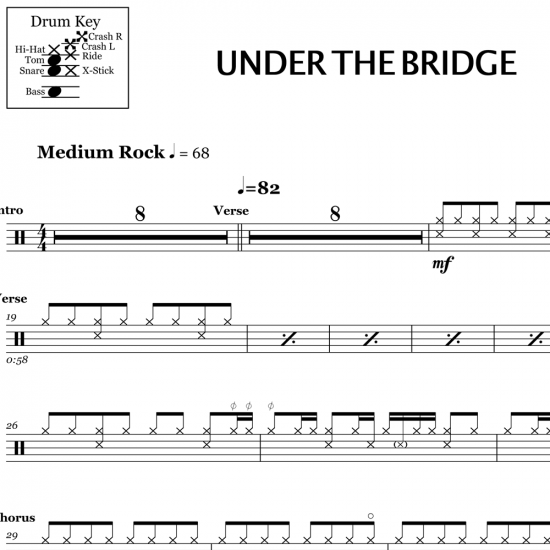 This drum part features plenty of embellishments: ghosts, flams, diddles and open hi-hats. 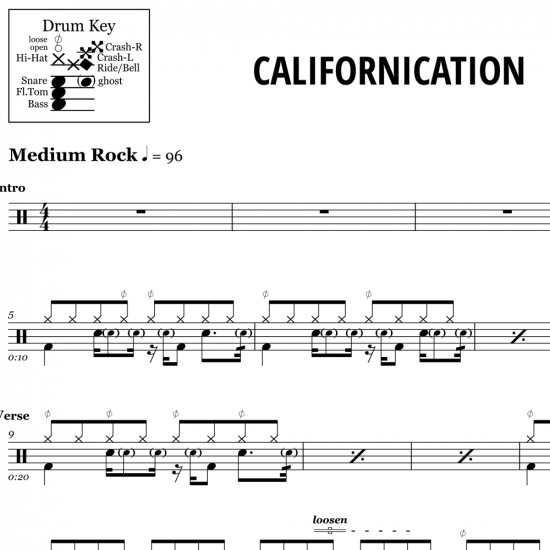 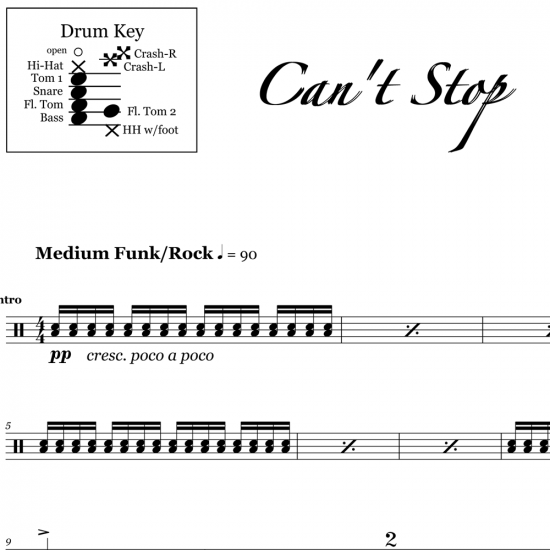 In addition, the syncopated, driving bass drum part is a great foot workout.